All political parties in India shout from roof tops against black money but they become one and use every pretext to thwart or delay reforms when it comes to ensuring transparency in electoral funding. The headline roars into the collective and conscious will of the people of India. Almost 7,833 crores paid to the political parties in India during 2004-05 to 2014-15 is from unknown sources which corresponds to almost 70% per cent of their total income, tax free of course. I am in no mood to talk of individuals and parties who benefited from this largesse that sadly enough, tantamount not only to hoodwinking and keeping in dark but also robbing the people of India. It is a paradox – all political parties in India shout from roof tops against black money but they become one and use every pretext to thwart or delay reforms when it comes to ensuring transparency in electoral funding. Well this comes as no surprise that the Election Commission of India despite many of its findings, committees and recommendations, as yet remains clueless on the way forward in the absence of any political will to build a consensus on this vexed issue. Let us briefly understand that political finance, for most of us, simply refers to funds or resources for election campaigns and includes the expenses for political activity as defined by the Electionl Commission. Let us consider that the resources raised by the parties or the candidates on their own are influenced invariably by the high-cost of election as corruption does go hand-in-hand. Apart from disturbing the level playing field as is apparent in Indian polity Big Money, used in non-transparent manner, is of course black money or tainted money and it undermines the rule of Law, as the elected representatives become not only captives but also the country becomes hostage to foreign influence. 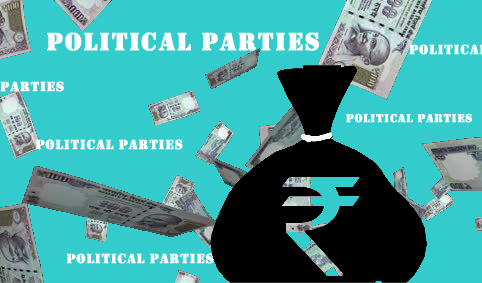 Though there is no direct state funding of parties in India but parties do enjoy certain benefits indirectly, such as providing free electoral rolls, providing free air time on state owned media, providing free space in state capitals for the office of the recognised political parties, tax exemption on the income of the political parties, tax exemption for the donors on donations to the political parties and electoral trusts except for donation from foreign source, government companies and other companies as per sec 293 A of Companies Act, 1956. The only statutory limit on the amount that could be spent on election campaigns of a candidate is 28 lakh for elections to State Assembly and Rupees 70 lakh for elections to Lok Sabha, however there is no ceiling on election expenditure by political parties and the expenditure made by political parties in favour of their candidates do not count in election expenses incurred by a candidate for the purpose of ceiling. This effectively makes the limit on poll expenditure largely irrelevant and a joke. Also the political parties are required to disclose before the date of filing of Income Tax return, the details of persons, donating at a time more than Rs 20,000/- as required under Section 29C of RP Act, 1951. Perhaps unfortunately and deliberately enough, the parties are neither required to maintain the details, nor required to disclose total contributions received and therefore anonymous donations are neither restricted nor prohibited. Let us briefly examine the International practices in USA, Europe and in Asia which shows that there is preference for partial state funding in direct way. In countries such as Germany, Austria, France, Sweden, Finland, Denmark, Israel, Norway, Netherlands, Italy, Canada, US (for Presidential elections), Japan, Spain, Australia, South Korea and UK they have not only ensured stringent measures on private funding and disclosure norms but have also introduced direct State funding for ensuring transparency, clean politics and a level playing field. 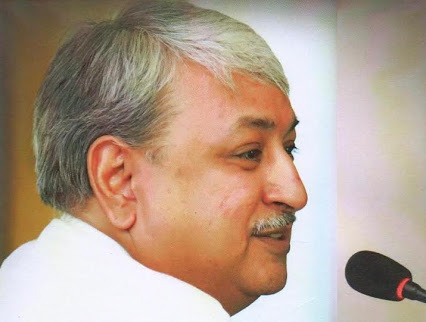 Simultaneously, they have also enacted laws to regulate the political parties and put severe restrictions and norms for disclosure of financial information to public as also penal measures for violation. Let us dispel the ‘chalta hai’ (everything is OK) myth on long pending electoral reforms! It will do well for the political parties in India to follow suit and lay the foundation for clean politics for the cause of our Republic. It is better late than never and in the best interest of India i.e. Bharat. Let this be the resolve on this Republic Day.